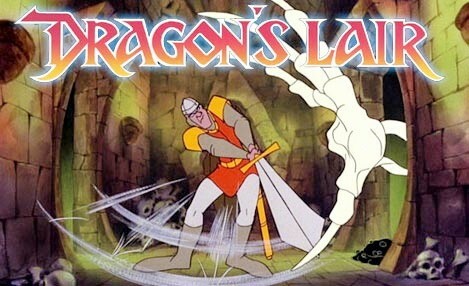 This very rare and original promotional poster was for the release of the laser disc video game in 1983, called "Dragon's Liar", and it originated from the Don Bluth Studios. Size is approx 27" x 41"
The poster is a vibrant color and is in excellent condition and contains NO tears, rips, or pin holes anywhere. 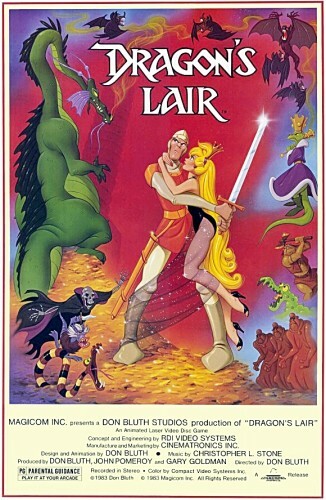 SPACE ACE Arcade Game Promo Poster: Don Bluth 1983 - "Autographed by Don Bluth"